My new fortnightly blog series, talking about authors first publishing experiences, continues today with a geat interview from historical novelist, Tom Williams. I can’t remember the first story I ever wrote. For this blog we’re not supposed to include stories we were made to write at school, but I loved writing stories at school. I wrote stories, poems, essays … I wrote anything and everything. I’ve always enjoyed writing. When I was a teenager I decided I’d like to write short stories for publication. I bought loads of women’s magazines and read them and then tried to write something that would fit their market, but I never cracked it. This was in the days before word processing so I got individually typewritten rejection letters. I remember they were often on very small sheets of paper. Presumably they sent so many of them out that using small sheets meant a real saving. That was when I started my world-class collection of rejections. I’ve still got a lot of them, hidden in a box in the loft. Eventually I grew up (more or less), got a job, got married, and got a life (not necessarily in that order). I’ve always been incredibly jealous of people who can organise their writing round work/marriage/hobbies. I’ve never been able to. I think it’s even harder when, like me, you do a lot of writing in the course of your work. I more or less gave up writing fiction for years but then decided that I would take time out and try and produce the novel I had always dreamt of. It took me almost a year and it attracted the interest of quite a well-known agent who sent me to an editor. I was still very young and had absolutely no idea of how lucky I was to get that far. Instead of persevering, I got increasingly frustrated until the editor suggested that I should rest the book, do something else, and come back to it. I rested it for over twenty years before I decided to have a crack at another novel. 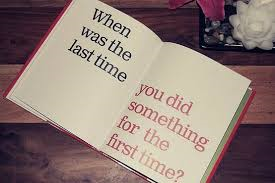 When I thought about what I wanted to do, I realised that I could take the story that I had tried to tell all those years ago and twist it round to tell it from another direction. 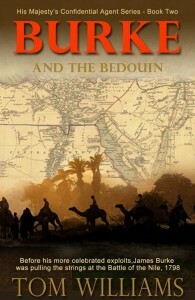 This is the book that eventually became The White Rajah. Yet again, it did find an agent, but, though he sent it to several major publishers all of them politely declined it. It was, they said, a “difficult” first novel. Why not write something more commercial and then tried to sell The White Rajah once I was established? 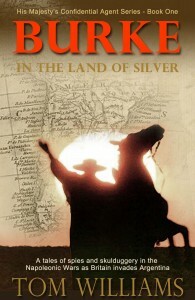 I obediently went off to write something “more commercial” (it eventually became Burke in the Land of Silver) but I was beginning to think that I would be cold in my grave before The White Rajah ever saw publication. Then I saw that a tiny US indie publisher, who specialised in novels for the gay community, was looking for historical works. I had a suspicion that one of the things that made The White Rajah “difficult” was that it featured a love story but also a pronounced absence of any female characters. I decided that a niche indie publisher was probably the way to go so The White Rajah finally saw publication. In practical terms, not a lot. I think everybody imagines that their first published book will change their lives, but it’s very rare that it does. It got some nice reviews and enough people bought it for JMS to ask me to produce a sequel so I did. That was Cawnpore. For what it’s worth, I think it’s the better book, but I’m happy to have written both of them. Yes and no. I finally took the advice I had been offered years earlier and tried to write something more commercial. So I’ve written three books about a (very) heterosexual spy in the time of Napoleon and am working on a fourth. Apart from the fact that these are historical novels, they have practically nothing in common with the first two books. At the same time I produced another book in the original series, Back Home, which will be published by Accent in April. That’s totally in the style of the first two. It was never originally conceived as a trilogy, but it has worked out very naturally. The three books have different subjects but they are all seen through the eyes of John Williamson. We meet him first as a young man setting out from England for adventures in the Far East and then, in Cawnpore, as an established figure in British colonial administration who sees everything he has worked for being destroyed in the Indian Mutiny. The final book sees him back in England, closing the circle of his life. It’s fair to say that they’re not cheerful, but I honestly think they’re worth a read. Another book about my spy, James Burke. This time he will be fighting in the Peninsular War. Tom Williams used to write about boring things for money. If you wanted an analysis of complaints volumes in legal services or attitudes to diversity at the BBC, then he was your man. Now he writes much more interesting books about historical characters and earns in a year about what he could make in a day back then. (This, unfortunately, is absolutely true.) He also writes a blog (http://thewhiterajah.blogspot.co.uk/) which is widely read all over the world and generates no income at all. Besides making no money from writing, Tom makes no money out of occasionally teaching people to tango and then spends all the money he hasn’t made on going to dance in Argentina. Please save Tom from himself and buy the bloody books. 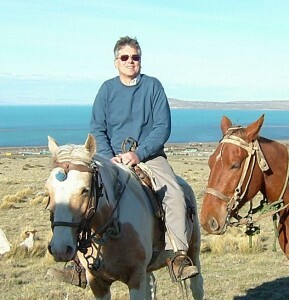 Here are links to the published stories about John Williamson. Back Home will be published in April. Many thanks Tom. Great interview! Loved the interview, Tom. It left me feeling vaguely guilty that I’ve not – yet – bought or read any of your books. They sound fascinating, even The White Rajah. Publishers are so risk averse! I don’t care which way, or where love falls, in the books I read. Good luck with ‘Back Home’. 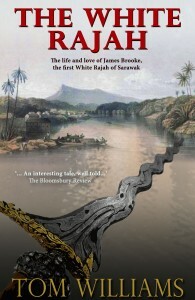 I think ‘The White Rajah’ is fascinating, for which I can’t claim that much credit because the history is so interesting. As a novel, it suffers a bit because of the scale of the story it’s telling, spread over years. 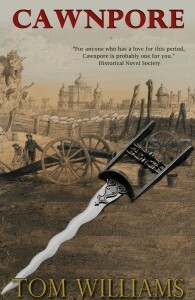 ‘Cawnpore’ is focussed quite tightly on one incident in the Indian Mutiny, so the story holds up better. I always find Tom’s interviews really interesting and exciting. His subject matter is so different for me and the historical content of his writing fascinates and I shall read one of his books soon. Like Tom says there are so many books so little time and if you write as well..but I just know I am going to love reading him. Lots of success for all you books Tom.